Before I forget, let me wish those of you who celebrate it a very Happy Easter. I mentioned some of this in a couple of recent Murmurs from the Megaverse®, but I wanted everyone to know about the many exciting ideas and projects we are working on behind the scenes. The plan: to take Palladium Books to the next level and new heights. Phase One: The plan. Last year, after my father's death and my waking up from a fog, I spent weeks reviewing and reassessing Palladium Books and our potential. That led to my creation of a plan to bring the company back to a position of strength and growth. Months of research, discussion and additional planning followed. Heck, it is an ongoing process. Phase Two: The Creators Conference. The Conference was a gathering of many of Palladium's core creators to discuss my plans for Palladium. Even though we had expected to run evenings of gaming and goofing around, most of us continued to talk about new projects, new ideas and honing our craft all night long. I tried to put things in perspective and set the stage for new development. We spent hours brainstorming. There were discussions and workshops about our craft and creating dynamic products, as well as ways to bring new people into the Palladium family. I must admit, I was surprised and pleased at the level of commitment almost everyone was willing to make. I was impressed by people who I already held in high regard. I think great things are coming from Palladium. And soon. Phase Three: A strong foundation. Phase Three is in full swing. Before we take any giant leaps into the future, we must make sure our foundation is strong and secure. Primary Objective: Make our RPG operations secure. That means releasing at least one new product every month. Support all our game lines with an emphasis on Rifts®, Robotech®, Palladium Fantasy RPG®, Nightbane®, Heroes Unlimited™ and Dead Reign™, with a slower build-up to other lines including Splicers®, Beyond the Supernatural™, etc. Increased effort on the part of freelancers should make this a reality very soon. Keep our products dynamic and push the envelope. We cannot simply "bang out" books. They must maintain Palladium's reputation for dynamic, quality products and strive to exceed the audience's expectations. We want to wow you with every new release. Create games and sourcebooks that inflame your imaginations and never lose the quality you expect from us. Set short-term and long-term goals, establish a realistic time table, set milestones, and establish creative teams. Phase Four: Expanding our audience. Phase Four is just beginning. We need to reach more gamers and find new audiences. We know that most people who find and play our games love them and stay with us, but how do we reach a larger audience? One way is to take full advantage of digital and social mediums. For months now, Alex, Wayne and I, along with Rex Barkdoll, Thom Bartold, and others, have been exploring the possibilities. And I mean ALL possibilities. I hesitate to mention it all, because I don't know how quickly we'll be able to implement the many things we want to do, but here are some of what we have been talking about and will be working toward in the months to come. Launch the new and improved Palladium website (we are only a week or two away from doing so). Utilize Twitter, Flickr and more. YouTube videos. Yep, you can expect to see a video interview (along the lines of the podcasts) every week from me, Kevin Siembieda (probably starting in May or June sometime), and maybe additional interviews from artists and others. We are also kicking around the idea of doing an ongoing Palladium book review series hosted by Carmen Bellaire, and other good stuff. An increase in PDF and POD products. Phase Five: New frontiers. Role-playing games are our first love and will always be our primary focus; however, we are looking into new technology and new market areas to carry Palladium I.P.s (intellectual properties) into new areas of entertainment. The following are all being investigated. They are listed in no particular order. Comic books based on Palladium RPG intellectual properties. A web comic or two. Something short, fun and funny. Flash games and apps for Facebook, the iPad, etc. Finding licensing partners with the expertise to take Palladium I.P.s into new entertainment mediums. Film and television. We are seeing a lot of interest from Hollywood and elsewhere in Palladium's intellectual properties, so it seems only a matter of time before something breaks in this area. We'd love to see films, TV shows, videogames, TCGs, board games, novels, toys and other products based on our I.P.s. Many of the points in Phases Four and Five are new things for Palladium Books, and boy are we excited about them. We've been talking to creators, lining up people and laying out projects and proposals. We need your help too. Buying Palladium products is always helpful, but we need you to help in ways that don't cost you a penny. We need to hear from you. We want to know what you would like to see from us. As you know, Palladium Books has the best interests of our fans and supporters at heart in everything we do. We have always tried to create the high quality products YOU want. So help us now. Help us by giving us input about the social mediums you use most and where you'd like to see Palladium (Facebook, Twitter, etc.). What is the category for "Other"? We don't know. You tell us what we're missing. What else would you like to see? Make some noise. Talk about the Palladium games and sourcebooks you enjoy. Tell people about the RPG hobby you love. YOU are our best ambassadors and advertising medium. Seriously. Never underestimate the power and value of word of mouth. Palladium is on Facebook now. Go there and talk about us and the things you enjoy about role-playing games. Answer the questions that have been raised recently about favorite characters, cover art, and much more. Don't stop there. Don't just talk about Palladium on our website and Facebook page. These are great places to start. They are your home and Palladium community, but talk about Palladium and RPGs everywhere. Let people know why you like the game systems, setting, stories, art, etc. so much. Spread the word. Be an active part of Phases Four and Five. Be part of the process to help us create the products you desire. Of course, you won't be seeing all of this immediately, and some may not be feasible for us, but we want to do a great number of the things outlined above. Many were discussed at the Creators Conference and are being investigated, and in some cases, being developed, as you read this. UPDATE: Online sales. I'm happy to report online sales have continued to slowly pick up for the second week in a row. They are not at the level we need to see, but they're getting there. Pre-orders for Rifts® Thundercloud Galaxy™, Robotech® New Generation™ Sourcebook and the two Rifts® Vampire titles are increasing. Here, behind the scenes is growing excitement about Rifts® Lemuria and Rifts® Megaverse® in Flames, as well as a number of yet-to-be-revealed projects. UPDATE: Rifts® Thundercloud Galaxy™ – Ships Monday, April 25. 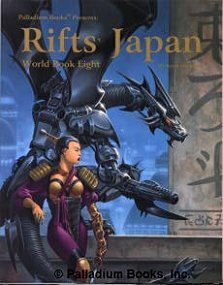 This book has characters, new races, gear, adventures and ideas that can be dropped into Rifts®, Phase World® and any number of settings to spice up ongoing campaigns. For an advance preview of the book, go to DriveThruRPG.com to get the free PDF download. It is easy to create a free account and only takes a couple of minutes. The preview shows the Trensik Mercenaries R.C.C. as well as a brief overview piece, a map of the galaxy and the Contents pages. The free Armageddon Unlimited™ Sneak Preview is also available. Remember, DriveThruRPG.com is a good resource for getting The Rifter® numbers #1-48 and to fill in your RPG library with first edition copies of Rifts®, Palladium Fantasy®, Heroes Unlimited™, and other game lines as well as books such as Nightbane® Book Four: Shadows of Light™ and both versions of the The Mechanoids® RPG (1985) and The Collected Mechanoid Invasion® Trilogy (1981-1983). 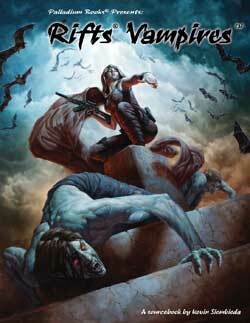 UPDATE: Rifts® Vampire Kingdoms. I've been writing down ideas and writing bits and pieces of the book here and there all week. The vampire information is rewritten from the perspective of Doc Reid and offers a wealth of new information and insight about vampires. TheRifts® Vampires Sourcebook will offer ways to travel through and adventure in the Vampire Kingdoms — and live to tell the tale. UPDATE: Robotech® New Generation™ Sourcebook. I still plan to work on this sourcebook in between work on the vampire titles. UPDATE: Rifts® Lemuria. I spoke to John Zeleznik yesterday and he tells me the cover is almost finished. I can hardly wait. Author Greg Diaczyk also provided a few pages of tweaks and additions to the book. UPDATE: Rifts® Megaverse® in Flames. I don't know why, but I've been thinking a lot about this book and can't wait to get into Carl's manuscript. UPDATE: Dead Reign™ Sourcebook Three. I have two ideas for the theme of the next Dead Reign sourcebook. Now I have to decide which one to run with. UPDATE: Alex. Alex's house has been stripped of debris. This afternoon he got the permits to start the physical reconstruction on the home. The house where Alex lived with his 88 year old mother, sister and two nieces suffered serious damage from a fire in January. They are looking forward to quick repairs and having their home back in a few weeks. Damage is extensive, but everyone is optimistic. 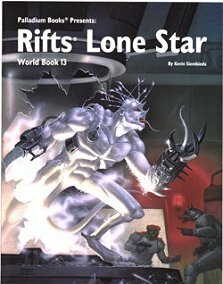 BACK IN PRINT: Two popular Rifts® titles will be ready to ship the same time as Rifts® Dimension Book™ 14: Thundercloud Galaxy™ – Monday, April 25, 2011. Available now: These items came back in print recently. Murmurs from the Megaverse®. As promised, I've been posting much more in the Murmurs from the Megaverse® as well as Facebook. Twitter is coming soon along with other social media. Palladium Presence at A-Kon – June 10-12, Dallas, Texas. Fan and Megaversal Ambassador, Kenneth Haun, has been doing such a great job running games at A-Kon, that Palladium was given a full page of events in the program. Fans in the area should check out this event. We've heard nothing but good things about A-Kon and Kenneth's events. We'll post more details in the next Weekly Update. - And others to be announced. QueenofGhouls.com – Kathy Simmons sold a zombie and scary nurse this week. Many other wonderfully creepy, new life-sized Halloween props are being constructed in her dungeon. They be appearing in her online store in the weeks to come. Ah, it is never too early to enjoy Halloween. The lady who purchased the zombie and nurse already has a Queen of Ghouls Mad Doctor displayed in her dining room. Now that's Halloween spirit. And a tribute to how awesome Kathy's creations are that someone would want one of her creations to be displayed all year long. Then again, Kathy is the "Queen" of Ghouls. Whew, that was a lot to talk about. I hope you are excited about these things as we are. Keep the faith and game on. The book is done, at the printer and awesome. Great ideas, great art, unique new alien races available as player characters, weird creatures and monsters, secrets of the Gene-Tech, weapons of the Dominators, ancient ruins, colony creation rules, adventure galore and much, much more. The Scramble is the mad dash to claim and colonize the thousands of worlds of the Thundercloud Galaxy. Colonists flock to the Thundercloud filled with dreams. Space Pirates and an array of cutthroats also flock to the galaxy, guns in hand, ready to rob and fleece the colonists. Lawmen and heroes are in great demand, and the opportunities for clever adventurers are said to be without limit. As the civilizations of the Anvil and Corkscrew Galaxies scramble to colonize the Thundercloud, they are beginning to realize the galaxy holds more riches, beauty, horrors and secrets than anyone has ever imagined, making it a place of discovery, adventure and treachery like no other. Thundercloud Galaxy™ is a perfect companion to the rest of the Phase World®/Three Galaxies™ based Dimension Books as well as the Minion War™ series. Players can be pirates, raiders, brigands or hired guns, or they may be explorers, adventurers, Spacers, or any number of heroes trying to protect the colonists or the indigenous peoples of countless worlds and colonies. The possibilities are truly limited only by your imagination. 17 new alien R.C.C.s plus the Elder Races, Dominators and more. 9 notable monsters and strange creatures, plus minions. Learn about the mysterious Elder Races, complete with stats. Dominator weapons, gear and salvage available to players. Gene-Tech and their chemical enhancements, gear and salvage available to players. Notable spacecraft, weapons, power armor and gear. Discover the Exiles, Splugorth Bio-Wizard Doctors, Denlech, Trensik Mercenaries and other mysterious people. An overview of the Thundercloud Galaxy, bits of history, new insights and many avenues of adventure. 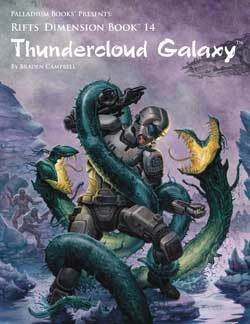 Any type of space opera and science fiction scenario you can imagine can be played out in the Thundercloud Galaxy. Written by Braden Campbell and Kevin Siembieda. Cover by John Zeleznik. Art by Michael Mumah. 160 pages – $20.95 retail – Cat. No. 883. April 25, 2011. This fan-favorite sourcebook is filled with high-tech wonders, magic and monsters. There are 20 O.C.C.s (Occupational Character Classes) that range from the traditional ninja and samurai to power armor, giant robots and cyborgs. 20 O.C.C.s including the Mystic Ninja, Ninja Cyborg, Ninja Juicer, Cyber-Samurai, Ninja Techno-Wizard, Japanese Demon Queller & more. 12 suits of power armor including Samurai SAMAS and Glitter Boys. Cyborgs of Japan, including Dragon Cyborgs and other bionics. Advanced weapons, melee weapons and other gear. Mystical powers and martial arts. Enchanted weapons and items including the Living Samurai Sword. 11 notable demons, goblins and dragons of Japan. Kyoto Millennium Tree, visions, wands and weapons. Overview of Japan, its people, magic and technology. 216 pages – $24.95 retail – Cat. No. 818. Ships April 25, 2011. The Coalition State of Lone Star is a wild and woolly place of contrast and conflict. The Coalition States claims the entire State of Texas as their own, but they only control a small corner of it. It is here, at the Lone Star Complex, that the CS engages in genetic engineering and creates the famous Dog Boys and a host of other mutants. The rest of the state is held by the Pecos Empire – an empire of bandits, outlaws and rebels. The perfect companion to Rifts® New West™, Rifts® Spirit West™ and Rifts® Machinations of Doom™. 19 R.C.C.s, many of which are mutants. Dog Boys – an in-depth look at how they are designed, bred and trained. Dog Boy armor and CS weapons. CS Death Wing assault armor. Hover cycles of the Lone Star state. Notable characters in the region. Overview of Lone Star and the Pecos Empire. Overview of the Lone Star Complex and the mad doctor who runs it. A wealth of background material and adventure ideas. 176 pages – $20.95 retail – Cat. No. 825. Ships April 25, 2011. Kevin Siembieda is reorganizing, tweaking, expanding and updating one of the most popular Rifts® World Books ever published: Vampire Kingdoms™. This will include some new artwork and an expanded page count. 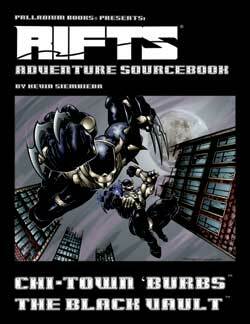 The book will be updated and expanded in much the same way as Kevin did with Rifts® Sourcebook One a few years ago. Best of all, it will be accompanied by the Rifts® Vampires Sourcebook™. The observations of Doc Reid. Vampires: Their strengths, weaknesses and powers. Vampire strategies and plans for conquest. Vampire hunters and Techno-Wizard slayer devices (new and old). Key locations including Juarez and El Paso. The mystery of the Yucatan Peninsula. Traveling Shows, Freak Shows and Circuses. Monsters, D-Bees, and adventure ideas galore. Updated and revised to 110 P.A. Cover by E.M. Gist. Interior art by various artists. 192 to 224 pages – $24.95 retail – Cat. No. 802-E. Spring 2011. Trouble is stirring in the Vampire Kingdoms as ambitious vampire lords, ladies and misanthropes seek to expand their power to dominate more mortal life forms. Written by Kevin Siembieda and a handpicked selection of other writers, this sourcebook explores the vampires of Mexico and their kingdoms in ways you never imagined. Tons of new data, adventure ideas and revelations. Vampire rogues, mercenaries and warlords. Vampire operations away from the Kingdoms. Vampire incursions along the southern borderlands. New vampire hunters and human strongholds. Frightful revelations, secrets, and adventure ideas. Written by Kevin Siembieda, Braden Campbell and Mark Dudley. 128 pages – $16.95 retail – Cat. No. 884. Spring 2011 release. This Robotech® sourcebook will be an early 2011 release. Rules for using mecha, power armor and technology from all four eras of Robotech. Kit-bashed mecha and rules for jury-rigging and combining parts from different generations of mecha. Freedom Fighter O.C.C.s and resistance organizations. Rogues and misfits from the three Robotech Wars. Villains, traitors, bandits, Invid henchmen, adventure and adventure ideas galore. Written by Kevin Siembieda and Irvin Jackson. 192-256 pages – $16.95 retail – Cat. No. 554. Final page count and price may be subject to change. Spring 2011 release. At last, the underwater realm of Lemuria. The people and history of Lemuria, new magic, sea herbs and healing, sea monsters, and more. Bio-Armor, Bio-Weapons and Bio-Construct Symbiotes. Sea Serpents, monsters, adventure ideas, and more. 160 pages – $20.95 retail – Cat. No. 885. Final page count and price may be subject to expansion and increase. Spring 2011. The Minion War spills across Rifts Earth, where demons and infernals hope to recruit allies and use the Rifts as gateways of destruction. Their influence shakes things up across the planet, especially at locations where demons and Deevils already have a strong presence. More details to follow, but for now, 'nuff said. Rifts Calgary – also known as Hell's Pit; the kingdom described. Ciudad de Diablo, Harpies' Island and other notable Hell holes on Earth. 192 pages – $24.95 retail – Cat. No. 876. July 2011. Apocalypse Plagues: Strange diseases, symbiotes and mutations that transform, torment, harm and kill Earth's survivors. 96 to 128 pages – $16.95 retail – Cat. No. 665. Coming in 2011. Armageddon Unlimited™ is the ultimate good vs evil setting and adventure. The fate of the world hangs in the balance and only you can stop its destruction as demons and Deevils fight for control of the Earth and bringing about the end of life as we know it. Armageddon Unlimited™ is more than an epic world-saving adventure, it is also a sourcebook jam-packed with new powers, magic, weapons and Power Categories that can be incorporated into any Heroes Unlimited™ campaign. This book can be used as a standalone adventure sourcebook for Heroes Unlimited™ or as a pivotal plot in an expansive Minion War™ campaign. Get a free sneak preview of the book from DriveThruRPG.com. 7 new Minor and 14 Major Super Abilities. Deevil and Demon magical Chaos Weapons. Enchanted Weapons of Order and a few Enchanted Objects. Demon Hunter Power Category and abilities. Crusader of Light Power Category and abilities. Heroic Hellion Power Category – play a "reformed demon." Magically Bestowed Variant Power Categories and abilities let you wield weapons that empower good and destroy evil. Doctor Vilde, the mastermind behind the Armageddon plot. The secret island base of Doctor Vilde and 16 maps. More than a dozen NPC villains. The Church of Unity and its role in bringing about Armageddon. The Chaos Generators – the key to stopping Armageddon. A menagerie of evil villains, people and places. The Armageddon scenario, adventure ideas and Minion War™ on Earth. Written by Carl Gleba. Additional text by Kevin Siembieda. 160 pages – $20.95 retail – Cat. No. 527. Available now. Aliens Unlimited™ brings alien beings to your Earth-based Heroes Unlimited™ setting and enables you to take your Earth heroes to alien worlds. This sourcebook has everything you need to launch an alien based campaign or galactic adventures, or introduce alien invaders, villains, heroes and campaign ideas. Aliens Unlimited™ makes the perfect resource and companion to the Thundercloud Galaxy™ or any of the Rifts® Dimension Books and Minion War™ series. Looking for some new space aliens, villains and monsters to add to your Thundercloud Galaxy™ orMinion War™ campaign? Need some unique Splugorth slaves? Demon henchmen? 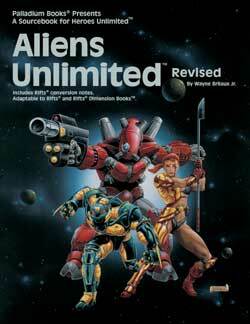 Take a look at Aliens Unlimited™ (and the Aliens Unlimited™ Galaxy Guide™ companion sourcebook); easy to adapt. 85 alien races/R.C.C.s., plus a bonus alien. 15 alien monster races, plus NPC villains. Galactic Organizations (Atorian Empire and more). Rules and tables for Creating Alien Characters, including an expanded Alien Appearance & Bonuses Table, Reason for Coming to Earth, Equipment, Special Vehicles and more. 90+ weapon stats including high-tech bows and arrows, Cold Weapons, Energy Weapons, Incendiary Weapons, Sonic Weapons, Conventional Firearms, and a wide range of Kisentite Blade Weapons and Vibro-Blade Weapons. Plus info about alien bionics, body armor, and power armor. A handful of vehicles and miscellaneous equipment. UFO watch groups, alien spies, NPCs and more. Suggestions, rules and information for your galactic campaigns. Plus some super abilities, spell magic and psionics. Adaptable to Rifts®, Phase World® and Rifts® Dimension Books™ complete with conversion notes for Rifts®. Written by Wayne Breaux Jr., additional text by Siembieda. 208 pages – $24.95 retail – Cat. No. 515. Available now! A guide to the Three Galaxies, this book takes a look at dozens of solar systems, notable planets, select alien races, people, civilizations and monsters, as well as space anomalies, spaceships and more. 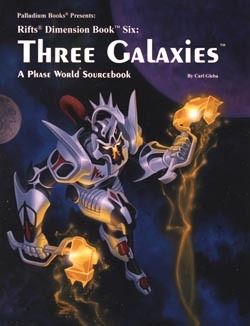 This is another sourcebook that is ideal for campaigns involving the Minion War™, the Thundercloud Galaxy™, Phase World® and adventures in the Three Galaxies. An overview of the Three Galaxies. 16 O.C.C.s/R.C.C.s including the Obsidian Spell Thief and Space Warlock. A half dozen monsters plus the mysterious Necrol. More information on the Intruders, Kreeghor, Splugorth and others. Draygon Industries and their weapons. Demon Stars, Demon Planets and magic starships. Notable spaceships and weapon systems. The monstrous Necrol and their living weapons and spacecraft. Notable equipment of the Three Galaxies. 160 pages – $20.95 retail – Cat. No. 851. Available now. For generations it has been rumored the Coalition States maintains a Top Secret facility where it locks away and stores all the magic weapons and items it confiscates from adventurers and mages. The CS, of course, denies these rumors, but they are true. And the truth is revealed for the first time in this epic sourcebook packed with secrets and magic items. Do your characters dare to rob the Black Vault? The Legend of the Black Vault. The Coalition's Campaign Against Magic. The Black Vault, its defenses and its inventory of magic items. 101 Magic Items – each "item" (79 of them) is described in detail. The last 22 items are magic potions with the effects of magic spells. 48 pages – $9.95 retail – Cat. No. 855 – Available now. 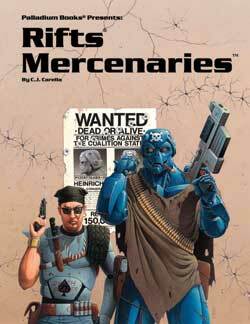 This fan-favorite sourcebook presents everything you need to create and run a mercenary company on Rifts Earth. It includes creation rules, new Occupational Character Classes such as the Professional Smuggler, Thief, Safecracker, Spy, Bounty Hunter, Master Assassin, and others, plus a treasure trove of mercenary weapons, vehicles, gear and arms dealers. Rules and tables for creating a Mercenary Company. Six NPC mercenary companies described, complete with key characters, villains, history and adventure ideas. Includes transdimensional mercs. Northern Gun – weapons and gear. Naruni Enterprises – weapons, force fields, vehicles and gear. Golden Age Weaponsmiths – arms dealer that specializes in vehicles. Wellington Industries – weapons and gear, including Ramjet rounds. Iron Heart Armaments Inc. – combat vehicles. Chipwell Armaments Inc. – power armor. Angrar Robotics – power armor. Coalition Army – combat vehicles. Casualties of Peace – adventure outline. 160 pages – $20.95 retail – Cat. No. 813 – Available now. Back by popular demand. 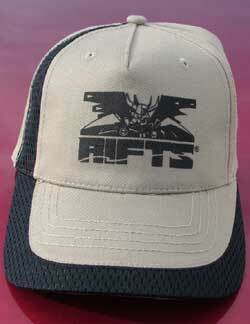 A black Rifts® Logo on a khaki baseball cap with black trim. Looks great and fans love it! Makes a great gift. Cotton cloth fabric, khaki color with black trim and black Rifts logo. Cloth Velcro strap for size adjustment. A nice cap. $14.95 per cap – Cat. No. 2544 – Available to ship Friday, March 25, 2011. This is a great resource for getting out of print Palladium titles and other select books. We've made 90 titles available as PDF digital downloads from DriveThruRPG.com. This is a great way to try Palladium products and get access to out of print RPG source material. Some notable titles include. - Beyond the Supernatural™ RPG, First Edition Rules. - Boxed Nightmares™ for BTS, First Edition Rules. - Nightbane® Book Four: Shadows of Light™. - The Mechanoids® RPG and The Mechanoid Invasion® RPG Trilogy. 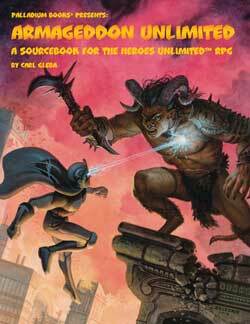 - Palladium Fantasy RPG®, First Edition Rules and select 1st Edition sourcebooks. - The Rifter® issues 1-48. - Deluxe Revised RECON® RPG and Advanced RECON® Sourcebook. - And more – go to DriveThruRPG.com and check 'em out. - Armageddon Unlimited™ – New – Available now! - The Rifter® #53 – New – Available now! - The Rifter® #54 – New – Available now. - Rifts® Dimension Book™ 14: Thundercloud Galaxy™ – New – April 25. - Robotech® UEEF Marines and other Robotech® sourcebooks. - And other good stuff. Lots of other good stuff! Check out the new creations by Palladium's very own Kathy Simmons. See her new zombie, Jack Skellington and Sally, with more new creations on the drawing board. Each Halloween prop is truly life-sized (most are 6 feet or taller – Jack is almost 8 feet) and seem almost alive. Each is an all-weather, life-sized Halloween prop that can handle rain and snow, and is a one-of-a-kind work of art (no two are exactly the same). Each looks frighteningly "real." All come apart and fold down to slightly larger than a king-size pillow for easy storage. Comes with easy instructions, a plastic storage bag, and the lawn stake to stand it up in your front yard. Indoor stand sold separately. Types of "Ghouls" include: Zombies (all kinds! ), killer clowns, wizards, witches, devils, grave ghouls, scarecrows, executioners, mad doctors, deadly nurses, vampires, werewolves, and more. Kathy's also now offering an array of hand-painted Halloween signs, signs with heads and bodies hanging from them, witch's brewing pots, Halloween centerpieces and more. Best of all, her high quality creations are much more affordable and imaginative than most competitors or mass produced items in a store, making them affordable Halloween fun. If you think the photos online look good, you should see them in person. A typical "ghoul," as she calls her creations, costs $129-$259. You can see some of her work at her Queen of Ghouls™ Ebay store – queenofghouls.com.